As a licensed Realtor, Bronwyn is passionate about helping her clients achieve their real estate goals. 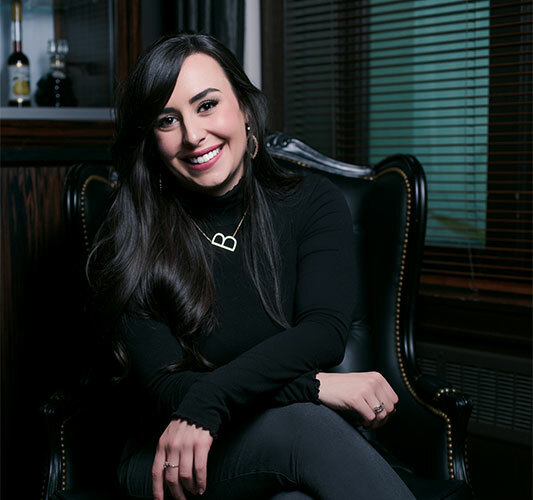 Graduating with honours in Business Management from Concordia University in Alberta, Bronwyn has extensive knowledge in business, marketing and finance. This knowledge is apparent in the way Bronwyn does business. She uses her theoretical knowledge in combination with her vast experience in the industry to ensure her clients are happy! Bronwyn also has a diverse background in real estate including administration, property management and mentorship from some of the top producers in Western Canada. Care and diligent work ethic has helped her exceed client's expectations and go above and beyond for everyone she works with. Having bought and sold real estate herself, Bronwyn knows first hand the stresses that goes along with the big financial decision of buying a home, which means she can relate to her clients and alleviate as many stresses as possible. When Bronwyn's not working she is an avid soccer player, social butterfly and can be found exploring all Vancouver has to offer. As a college athlete, she played soccer for her University and in 2009 became a National Champion for the Women's Soccer CCAA. She has continued to play soccer at a high level on a women's team in Vancouver based out of UBC. Bronwyn is also a member of the Terminal City Club, one of Vancouver's oldest private members fitness and social clubs. She can be frequently found entertaining clients and networking with a glass of wine at the club. Bronwyn also has a passion for supporting local businesses, she is one of the co-founders of BNI Summit, a networking group based in downtown Vancouver. Lastly, Bronwyn loves to hang out with family and friends as well as travelling the world. Making time for these activities allows her to refocus and refuel to help her clients at the highest level. "I don't like to think of myself as salesperson but instead a matchmaker, I introduce people to homes until they fall in love"
"As a former Real Estate Agent, we chose to use Bronwyn after interviewing several agents by attending open houses. Bronwyn had the enthusiasm and answers to our questions that we were looking for. She helped us purchase in a community she hadn't done a lot of sales in which didn't concern me as she had a contact in the area who was an expert and reached out to him several times. Bronwyn provided me with sales data, she asked several questions to the listing agent and even researched certain bylaw requirements for us. Bronwyn ensured that her schedule was flexible with ours given we had a limited amount of time to make this big decision. She also had relationships with trades people who were also willing to work with our schedules. Bronwyn is eager and honest and I would definitely recommend her!"" - SUSAN R.